Earlier this month the book Secret no more! was released, compiling a series of inspiring articles written by 45 successful entrepreneurs, leaders and innovators from across the globe, who share their secrets about innovation, entrepreneurship and leadership. 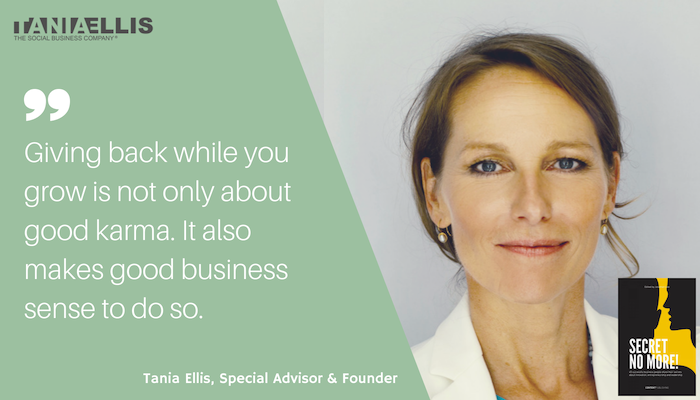 In her contribution to the book, Tania Ellis reveals how “Giving back while you grow is not only about good karma. It also makes good business sense to do so.” You can access the full chapter online here. If you are interested in the entire collection of articles, you can purchase the book Secret no more! here. Want to read more inpiring articles and books on sustainability and social business? Then grab a cup of coffee and dive into our Reading Room section!